Kristin Brandt is the founding member of Brandt Law, PLLC. 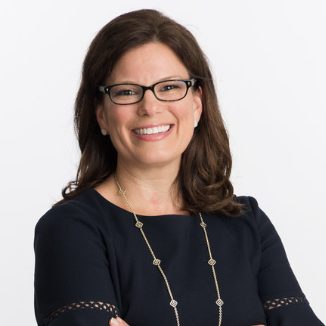 Prior to forming Brandt Law, PLLC, Kristin was an attorney at two top law firms, Dorsey & Whitney, LLP and Squire Patton Boggs (formerly Patton Boggs LLP), gaining extensive and detailed-oriented experience in a wide array of practice areas, including financial transactions and corporate law. Kristin has substantial experience in managing everything from large, complex business transactions on one hand, to individual employment agreements on the other hand. "I have had the pleasure to work with Ms. Brandt on several transactions and the quality of her work and responsiveness to mine and my colleague’s requests have always been excellent. Ms. Brandt played in intricate role in managing the process for drafting, monitoring and closing on each of the legal transactions to both ours and our client’s expectations." Representation of financial institutions, private equity funds, mezzanine funds, agent banks and other institutional investors, in a wide variety of debt, equity, equipment and project finance transactions. Extensive experience with due diligence matters, drafting and negotiation of complex documentation.